Ouch! Do Fruit Flies Really Bite or Not? →Ouch! Do Fruit Flies Really Bite? 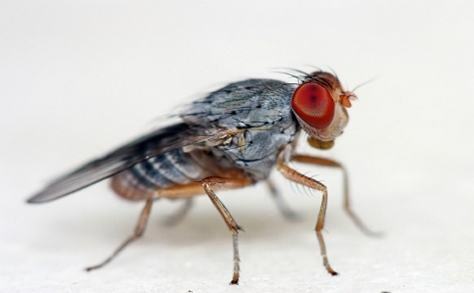 You have probably heard these questions more than once: “Do fruit flies bite people?” or “What does a fruit fly bite look like?” You already know how annoying and inconvenient they can be, but do fruit flies really bite? In the information below, you will learn to properly identify the common fruit fly in both male and female form. 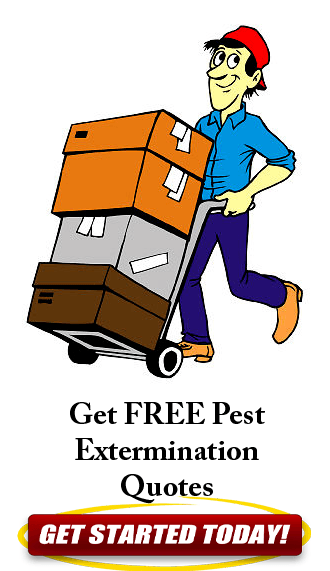 You will also know the potential risks of having fruit flies in your home or business. 1 What is a fruit fly? 1.0.1 What does a fruit fly look like? 1.0.2 Can a fruit fly bite? 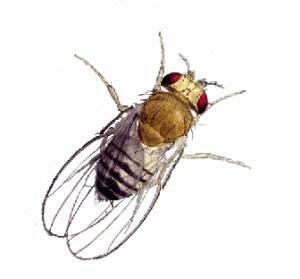 1.0.3 What illnesses are caused by fruit flies? 1.0.4 How can I prevent fruit flies? A common nuisance in most homes, restaurants and stores, the fruit fly is often referred to as a vinegar fly. Fruit flies are often used by researchers and scientists due to the fact that they breed very quickly by laying large numbers of eggs. In all life stages, from larvae to adult, the fruit fly sustains itself by eating fresh, decaying or rotten fruit. Having a yellowish brown body and red brick colored eyes, fruit flies have distinctive black rings around their abdomens. It is easy to distinguish male from female fruit flies due to size differences and hue, as males are smaller and darker in color. The male fruit fly also has noticeable sexcombs, or bristles, on their front legs, and spiked hair on reproductive regions for attaching to females during the mating process. Can a fruit fly bite? While many believe that fruit flies do indeed bit, the truth is that they are not physically capable of doing so. According to research done by scientists, fruit flies do not have teeth, making it impossible for these insects to compromise your skin. While you might be relieved to know these small and annoying house guests will not bite, you should remain concerned by their presence in your home as fruit flies pose potential health risks. What illnesses are caused by fruit flies? While no known illnesses are caused by fruit flies, many people will experience an allergic reaction when these pests land on their skin. 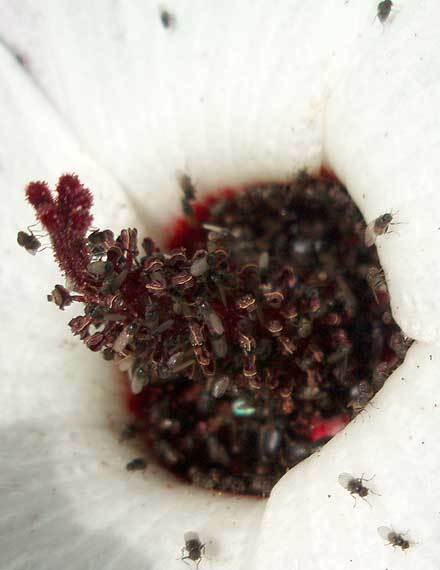 This will likely be a series of small red dots, caused by a reaction to the bacteria carried by fruit flies. This reaction, or rash, can be treated by taking a hot shower and scrubbing well. If this does not seem to help, you can rub the affected skin down with apple cider vinegar. Research has shown that the presence of fruit flies can result in exposure to diarrhea or dysentery, as well as other illnesses and symptoms caused by bacteria. Watch for symptoms such as loose bowels, stomach cramping, abdominal discomfort or pain, fever or chills, vomiting and dizziness. Consult your physician for the proper treatment and take the necessary steps to rid your home of fruit flies. How can I prevent fruit flies? If you have these small nuisances in your home or business, you need to take the necessary precautions to get rid of fruit flies before someone develops an illness or reaction. The best way to avoid fruit flies is to keep a clean kitchen and take the necessary precautions to properly store all fruit. This is especially important during the summer months, when fresh fruit and vegetables are often left sitting on counters.